Modernizing storage resources is an essential element to software-defined infrastructure (SDI), driving high demand for SDS solutions to transform fixed storage resources to be more agile, scalable and efficient. Designing, testing and validating an SDS solution can be a complex and resource-intensive process. VSAN Ready Nodes from Intel are fully-validated, pre-configured server systems with VMware VSAN certifications included. Designed to address the challenges of storage modernization, this offering helps resellers reduce complexity and speed time to market. 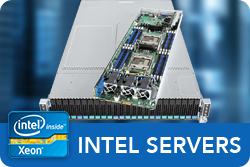 VSAN Ready Nodes from Intel are powered by the latest Intel® technology, and include Intel® Server Boards and Chassis, Intel® Xeon® processors, Intel® Solid State Drives (SSDs), and third-party memory in configurations optimized and pre-certified for VMware VSAN. Pre-certified systems increase market access. Save time and money on system design, validation, and integration. The latest Intel technology, in configurations optimized for VMware VSAN. 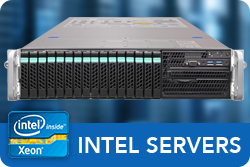 Backed by Intel’s world-class validation, engineering and warranty. Robust data protection, high availability and performance. Predictable scaling on cost-effective infrastructure. Streamline operations with high levels of automation. Powerful, simplified storage for limited IT staffs without specialized expertise. Cloud Block – VMware vSAN Ready Node includes Intel® Server Board, Chassis, Xeon® E5-2620v4 Processors, Intel® Solid State Drives (SSDs) and third-party memory, configurations optimized and pre-certified for VMware VSAN.